Pilates (also known as Contrology) is a method of body-conditioning exercise designed to strengthen and lengthen the muscles, and invigorate the mind and body. 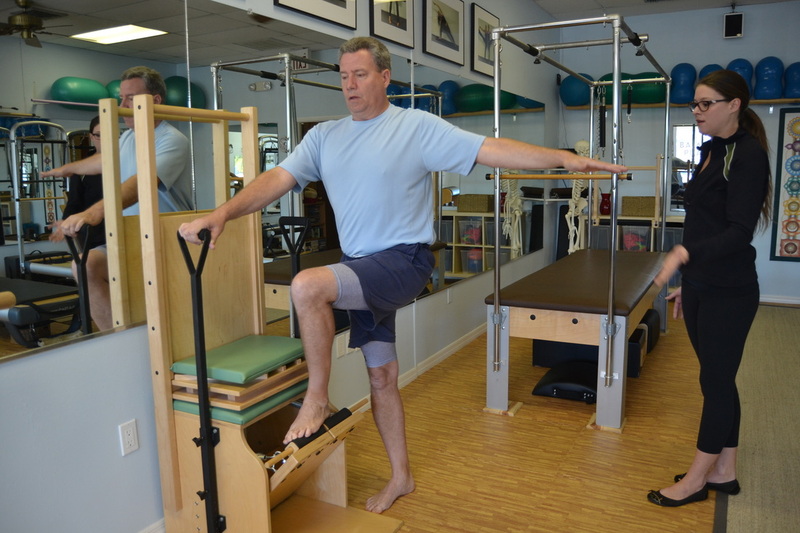 It was developed over eighty years ago by fitness visionary Joseph H. Pilates. He emphasized the importance of integrating mindfulness and attention to proper alignment into exercise to increase precision and control of movement. Pilates utilizes spring-based equipment as well as specifically sequenced mat exercises to work the body as a whole, but particularly the abdomen, buttocks, lower back, and inner thigh region. In Pilates we refer to this as "The Powerhouse". By strengthening The Powerhouse, those who practice Pilates notice improvements in posture, energy, flexibility, balance, strength, stamina, and muscle tone.